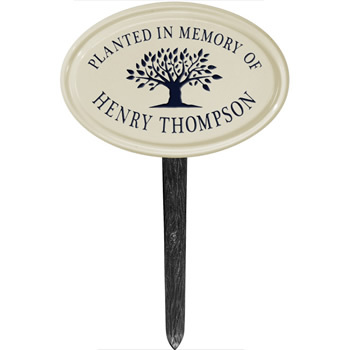 This ceramic tree memorial plaque is designed to be placed in the yard or garden. It includes a stake for mounting. 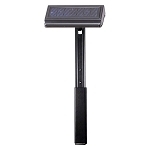 It is very durable and will endure outdoor elements. 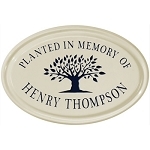 The plaque has a cream glazed background and is available in several colors. Made in USA. 10.9" x 7.4" x 0.5"
"Planted in Memory of" is permanent on the plaque. It cannot be changed or removed. The manufacturer supplies VHP (very high bond) double-sided tape to attached the stake to the plaque. This is the same type of type used in the automotive industry on exterior and interior trim. This type of type is used to create a permanent bond between a wide variety of materials such as metal and ceramic. I just received my plaque today. It is great. I'd recommend this one.